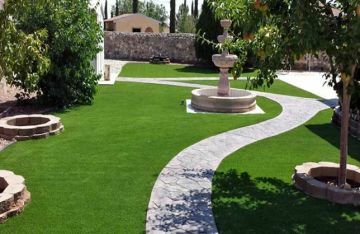 Anyone involved in the artificial turf installation knows it's not an easy job, and it isn't something to be left for beginners. It takes patience, experience and a vast amount of knowledge. Getting the job done right the first time is paramount, and it all starts with one of the most critical steps in base preparation - compaction. 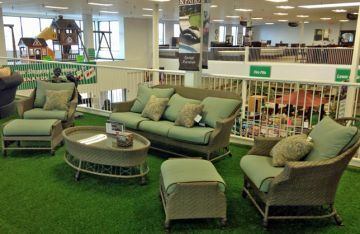 Effective base preparation is the key to a solid artificial grass installation. Base compaction is a process that increases the density of base materials. 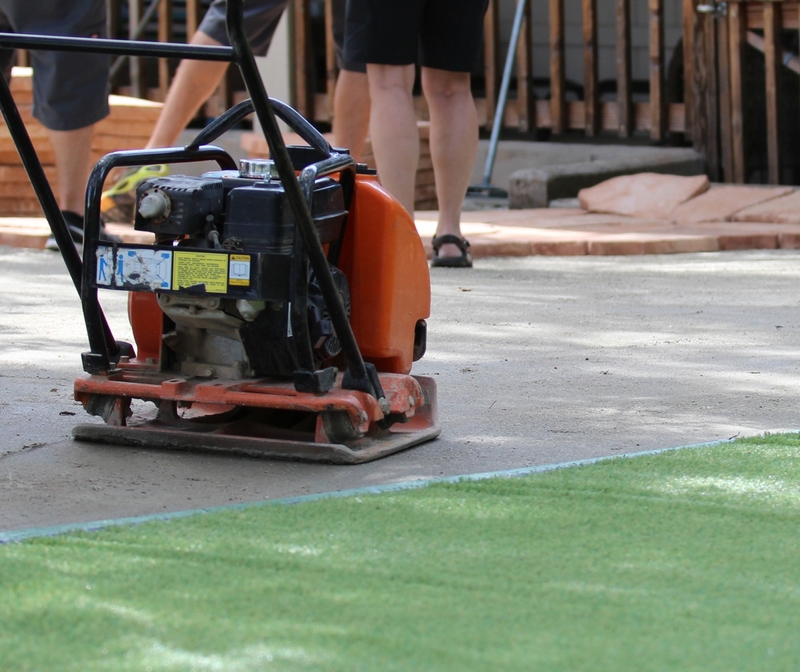 Before we lay synthetic turf, we remove soil and add the rock base and decomposed granite for a solid foundation. The compaction increases stability and load-bearing capacity, prevents base settlement and frost damage. 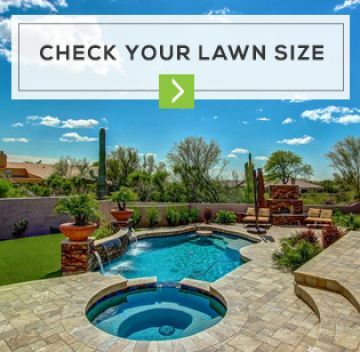 At one point or another, you have likely seen synthetic lawns buckling, bulging or wrinkling. This is mainly a result of the base being prepared incorrectly and being poorly compacted. It is crucial to get this step right. Provides strength and support to the turf surface. Offers drainage and frost protection. Can be reused if you decide to change your turf. Creates a workable surface before placing the grass. Prevents turf from wrinkling, sugging, and moving. 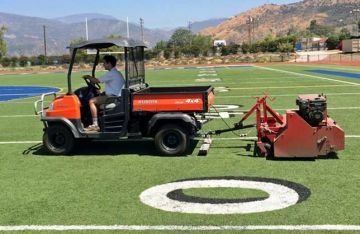 It's essential to use appropriate base materials to prepare a subbase for synthetic turf as different types feature variable maximum densities and moisture levels. 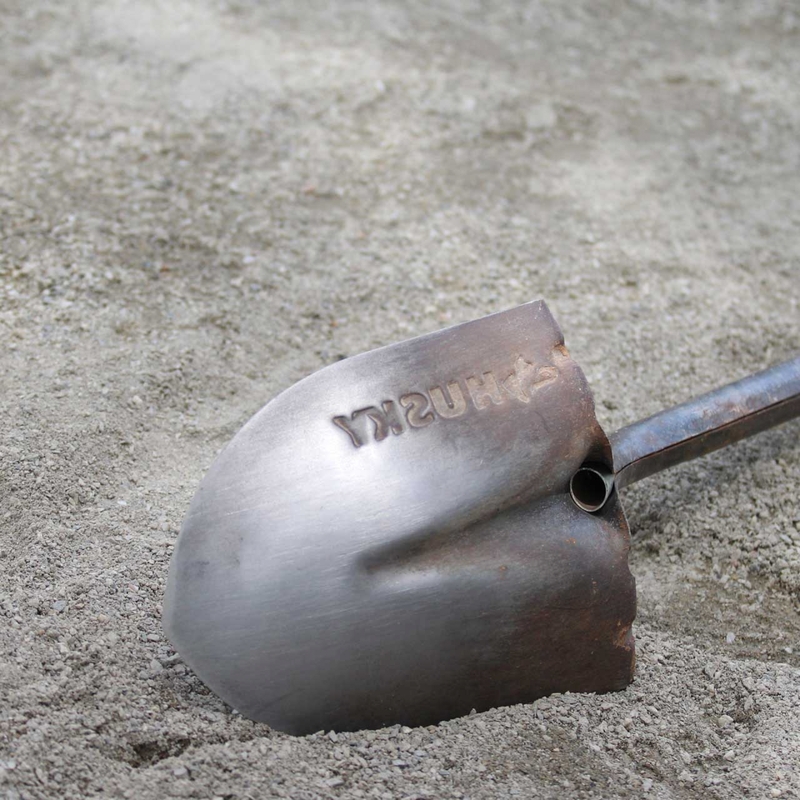 We recommend using drain crushed rock and either class II road base or decomposed granite. 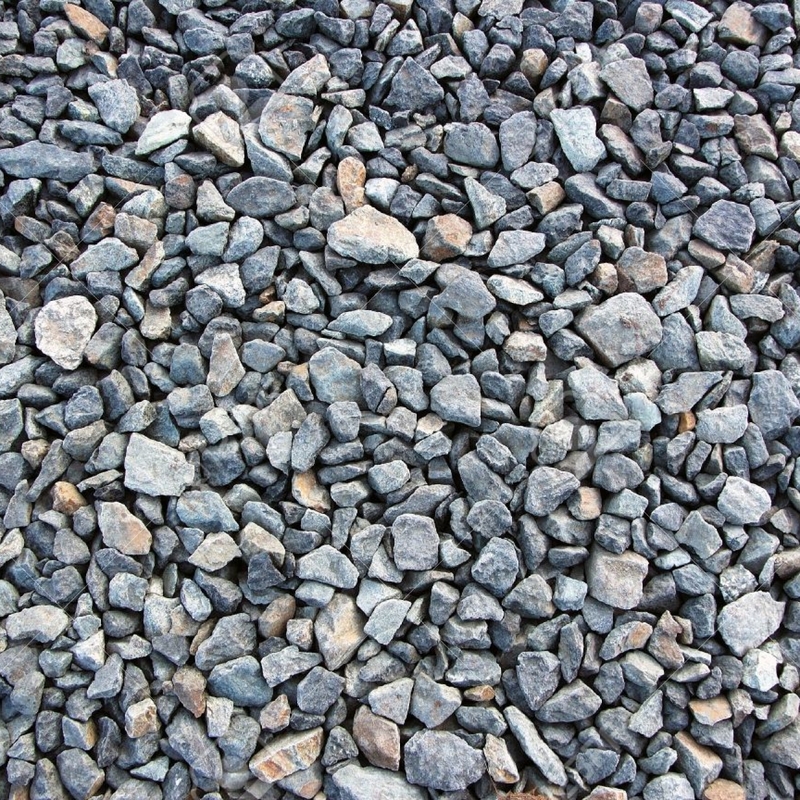 Crushed stone (rock) is durable and typically used as an aggregate for underground projects. It can be easily tamped or rolled into place, which creates a more stable surface. Crushed rock is the media for providing drainage. Decomposed granite is aka gravel, but finer and more stable. It's formed from natural weathering and erosion of solid granite, a tough, hard, igneous rock. 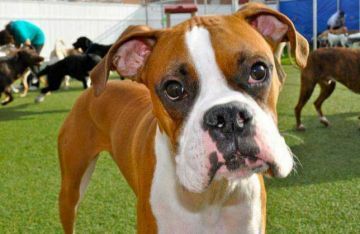 Decomposed granite sold as landscaping material is typically composed of fine three-eighths-inch (or smaller) particles; some may be no larger than a speck of sand. At least 30 colors of decomposed granite come in three forms: natural, stabilized and resin-coated. 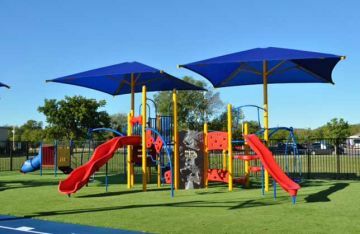 The stabilized version is the most suitable solution for synthetic turf installation. 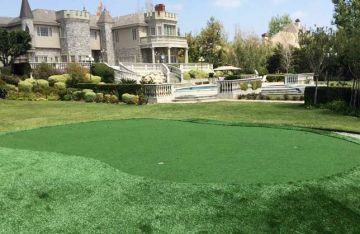 It's added on top of the crushed stone, compacted, and covered with turf. Decomposed granite is easy to install and almost as hard as concrete while retaining permeability. 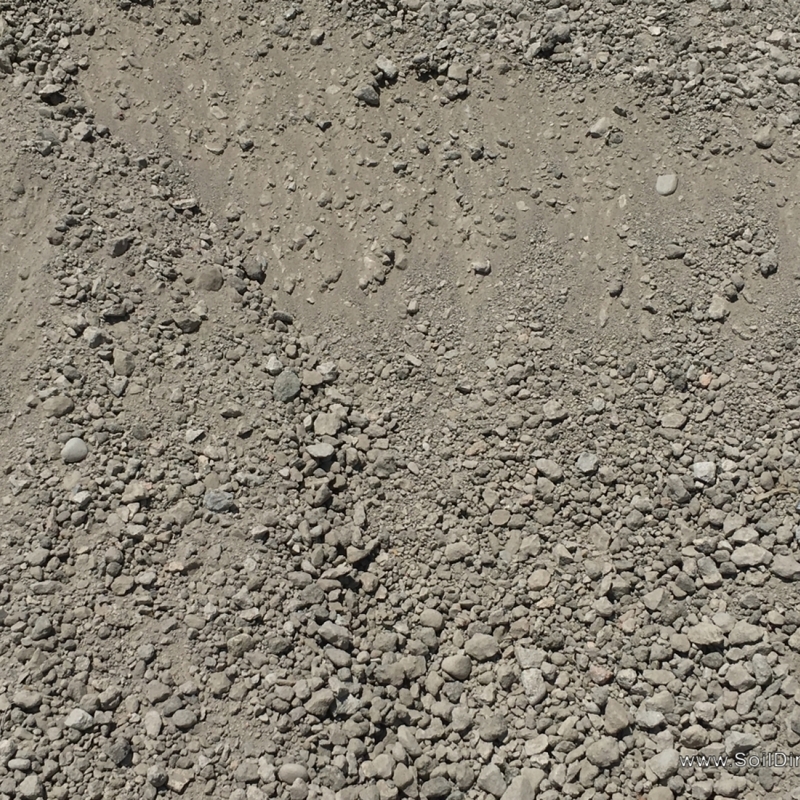 Class II road base is typically a mix of different sizes of crushed rock. 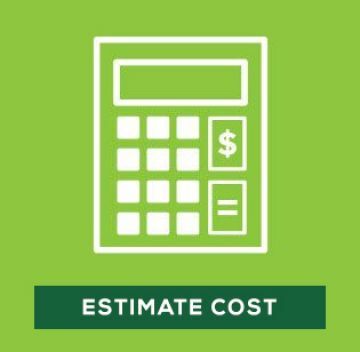 Class II road base is substantially less expensive than decomposed granite, but it takes more compaction testing. 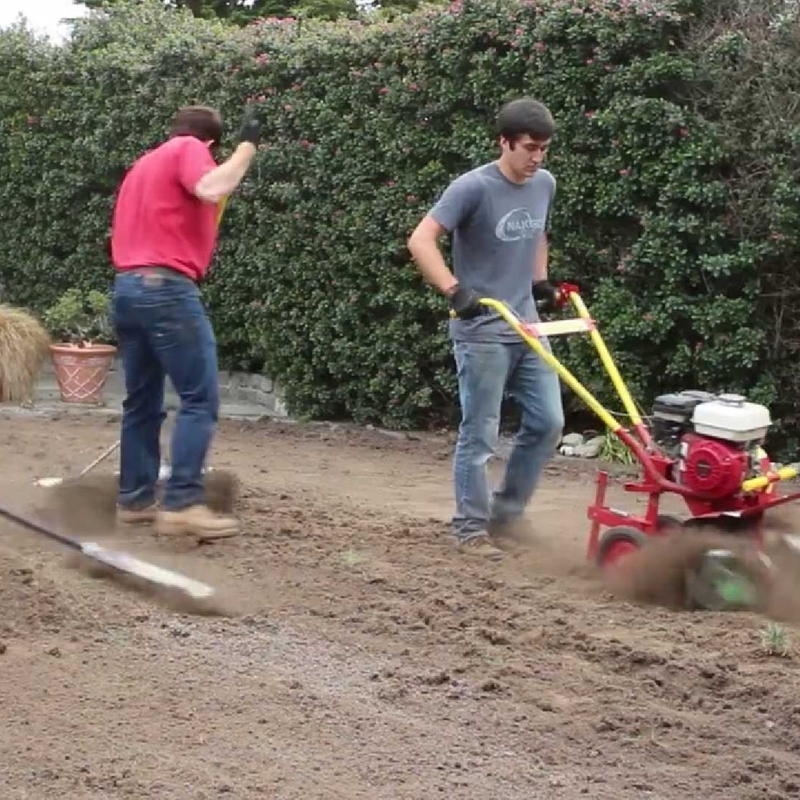 When compacting the subbase, wet it down periodically with a garden hose carefully. Keep in mind that the moisture content is vital for proper compaction. Moisture acts as a lubricant within the particles of aggregates sliding them together. Too little moisture means inadequate compaction; the particles wouldn't move past each other to achieve density. The drier the aggregate, the more resistant it is to compaction. Before laying the first layer of aggregates, saturate soil cleaned from rocks, debris, and vegetation, so the imported materials will bond better to the below subgrade. The Proctor Test is the most common compaction test. It determines the maximum density of the soil and tests the effects of moisture on soil density. You can also measure the moisture density by hand. Pick up a handful of material and squeeze it. Open your hand. If the soil is powdery, will not retain the shape, or shatters when dropped, it's too dry. If the soil is moldable and splits into only a couple of pieces when dropped, the amount of moisture is perfect. If the soil is smooth in your hand, leaves small traces of moisture on your skin and keeps in one piece when dropped, it most likely has too much moisture for compaction. 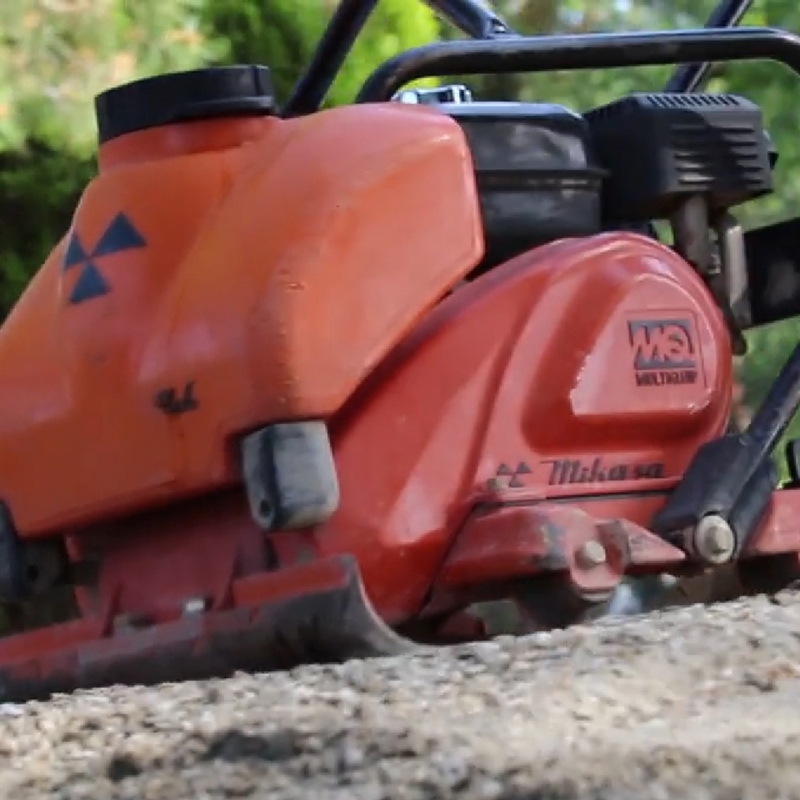 Ideally, rent a vibratory walk behind compactor from a hardware store. 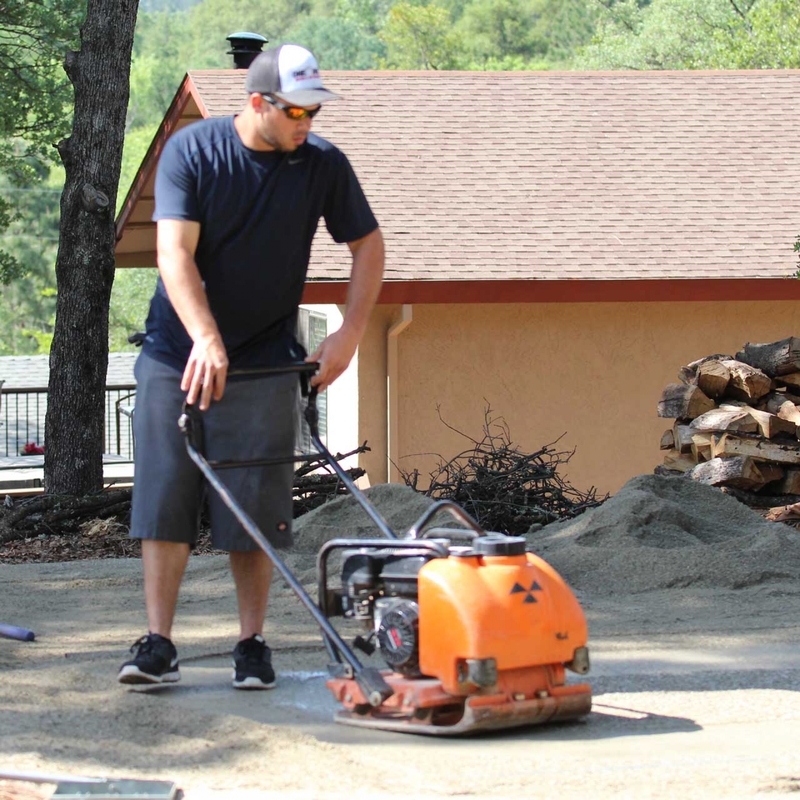 This will help you get the job done faster and achieve the 90% compaction required for a solid synthetic grass foundation. Vibration is the one principal compaction effect. Vibratory plates have low amplitude and high frequency; they are designed to compact granular soils. Diesel or gasoline or engines drive one or two eccentric weights at high speed to generate compaction force. The resulting vibrations cause forward motion. The handle and engine are vibration-isolated from the vibrating plate. The heavier the plate, more compaction force it produces. Frequency range is usually 2500 vpm to 6000 vpm. For edges, sidewalls of slopes and sand traps for putting greens that a vibratory plate compactor cannot reach, use a hand tamper. Once you cleaned up the soil, saturated it, and it's fairly solid, you can start adding the subbase material. Do not drop your base materials in, fill it up and then run your compactor over it. Add 2 - 2.5 inches of crushed drain rock and spread it evenly with a rake. Create a slight grade for drainage. Most walk behind compactors can handle only 2 inches of aggregates at a time to achieve the recommended 90% compaction. If you are planning import more than 3 inches, you a heavier plate compactor to attain the required density. Adjust the compactor. 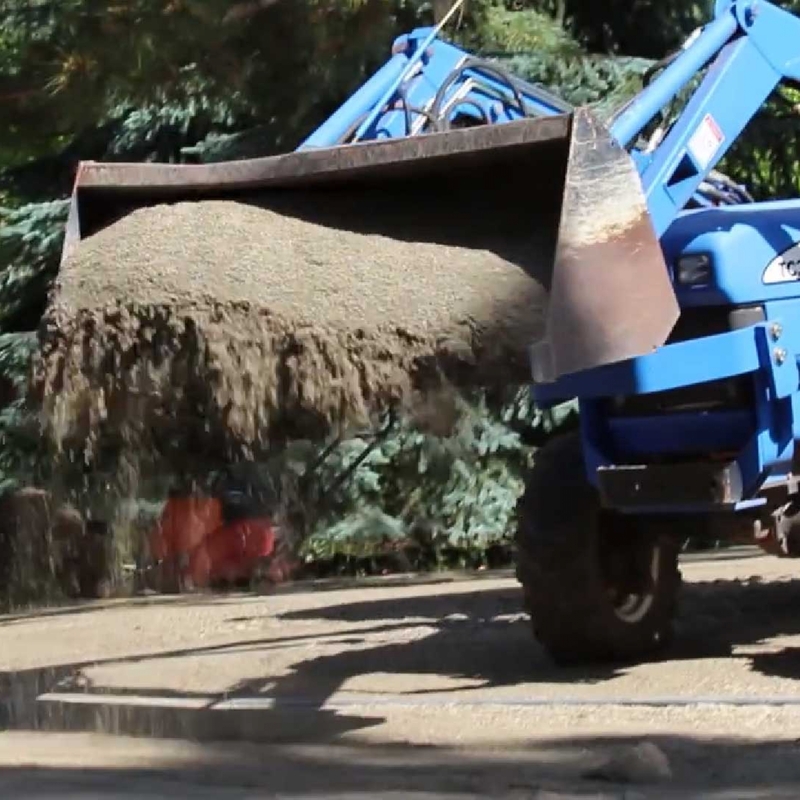 As a rule of thumb, the lift height must be in the ratio of 2" of material for every 2,000 pounds of compaction force. Compact the subbase after each lift; check the moisture level of the subbase before compacting. Use a garden hose to dampen it, but don't over saturate it. Import 1 - 1 1/2 inches of class II road base or decomposed granite. Repeat the compaction process by going in different directions. This layer is what the artificial grass will be sitting on directly, so it's essential to prepare the surface thoroughly. Avoid high-spots or valleys, reworking them if need be to get a flat surface. Proper plate compactor operation is the most important aspects of keeping the machine running well. Clean the bottom of the plate compactor frequently to prevent dragging the soil. If the plate is not moving, moving too slowly, or erratically, or if there is excess vibration in the handle, then there's something wrong with the plate. 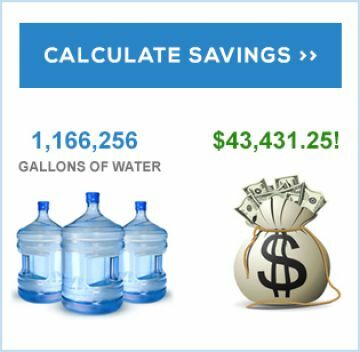 Don't guess at how much subbase material is required. There is no one-for-all rule to determine depth. 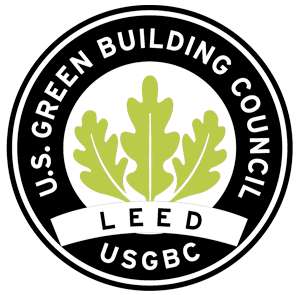 In hot and dry climates, 2 - 2.5 inches of crushed stone and 1 - 1.5 inches of decomposed granite is recommended to achieve substantial subbase stability. If your soil is frost susceptible, the most accepted practice to substitute the frost-susceptible material with non-frost-susceptible to a depth of one-half or more of the frost depth, with silt soils possessing the highest potential for frost heave. Usually, clay bases need to be dug deeper to facilitate drainage. Do not place plastic under subbase or above it to prevent weed growth. Seeds start from the top and work their roots down. Plastic will trap water causing drainage problems. The best way to stop weeds from growing through seams and drainage holes is to use Pre-Emergent before and after importing aggregates. If your soil is all clay or other type of slow draining material, it is good practice to install a layer of geo-textile down first, then place your granular base. This will work as a mechanical barrier to stabilize and stop the clay from mixing with your sub-base materials. Aggregate: gravel or stone that was crushed and screened to various sizes for use in concrete, asphalt or road surfaces. Adhesion: a soil property which causes the particles to stick together. Amplitude: the total vertical distance the vibrating plate or drum is relocated from a resting or neutral position from the eccentric moment. Base: the layer of materials on which synthetic turf is placed. Cohesion: a soil property which holds the particles together by sticking. Also, the soil's ability to withstand shear is determined by its degree of cohesiveness. Cohesive Material: a soil with properties of cohesion. Density: the ratio of the weight of a material to its volume. Frequency: referring to the rotational speed of the eccentric shaft; usually rated in “Vibrations Per Minute.” It is equal to the RPM of the shaft.